Prejudice, discrimination and isolation affects Gypsies and Travellers’ access to services, jobs and accommodation. There are around 30,000 Gypsies and Travellers in London. Their culture and traditions have developed through a nomadic way of life over centuries. But although they try to maintain this, the lack of pitches on local authority sites and draconian eviction powers make it difficult for many to go on the road now. Around 85% of families in London have been forced to live in housing. Some families are still living on roadside encampments or choose to still travel in the summer months. 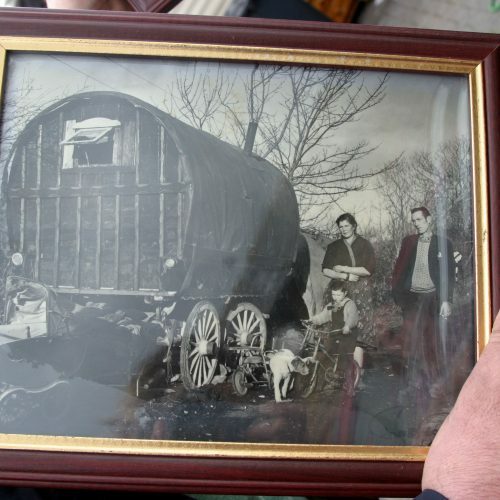 Romani Gypsies and Irish Travellers are recognised as ethnic groups under the Race Relations Act 1976, and they are protected by the Equality Act 2010. But prejudice, discrimination and isolation affect their access to services, jobs and accommodation. Negative media coverage increases feelings of alienation. The ancestors of today’s Gypsies and Travellers in London gathered at traditional stopping places in the city. Their skills included chair caning, basket weaving and tin smithing. Some were travelling showmen and fairground people, others worked alongside other Londoners as seasonal labourers. But the rapid expansion of London after World War Two meant many traditional stopping places were replaced by housing and it became harder to survive using traditional trades. Families were forced to stop on derelict land and were frequently moved on. Gypsy and Traveller campaigners lobbied governments for sites, and in 1968 new laws required councils to create places for them to stay. Council run sites meant Gypsies and Travellers could continue living in caravans, maintain their communities, and get access to education and health services. But in 1994 the government removed this duty on councils, and increased powers to evict. Since then many council sites have closed and no new sites have been built for the past 20 years. So the community faces a huge housing crisis in London, with many families living on the side of the road and facing constant evictions. The majority of Gypsies and Travellers in London have been forced into housing where they are isolated from their families and traditional way of life. As a result, they can become vulnerable – because of prejudice, instability in the private sector and lack of social rented housing. Travelling does not define us. Being a Traveller is not just about travelling – it is also about our beliefs. I do not want this law to go through. I don’t want in the future for me and my children to go through the hassle we are going through now. Young Gypsies and Travellers have immense potential. But opportunities for work and training are often limited within their communities. 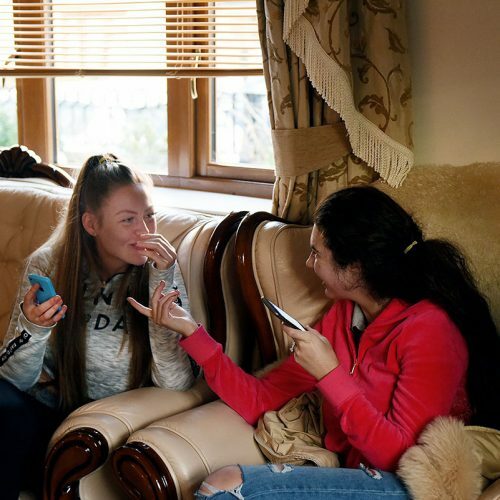 The 2011 Census revealed that 60% of the over-16s who identified themselves as of Gypsy/Traveller ethnicity ended up with no formal qualifications. Many young people want to continue their education and gain new work skills. But making moves into the wider world to pursue education and training presents major problems. Removed from the safety of their community, young people can lack confidence. They can feel threatened and isolated – the result of centuries of suspicion and prejudice about Gypsies and Travellers throughout society. Even when young people take steps to widen their horizons – starting vocational and creative courses at local colleges, for example – they can feel out of place. So they drop out and return to the communities where they are accepted for who they are. In turn, parents and family members fear for the safety of their sons and daughters if they move outside the community. Decades, centuries of discrimination and stigma only make people from these communities more and more fearful and isolated. In the Travellers’ Times video below, young people talk about exclusion and discrimination – and how they want the world to change.